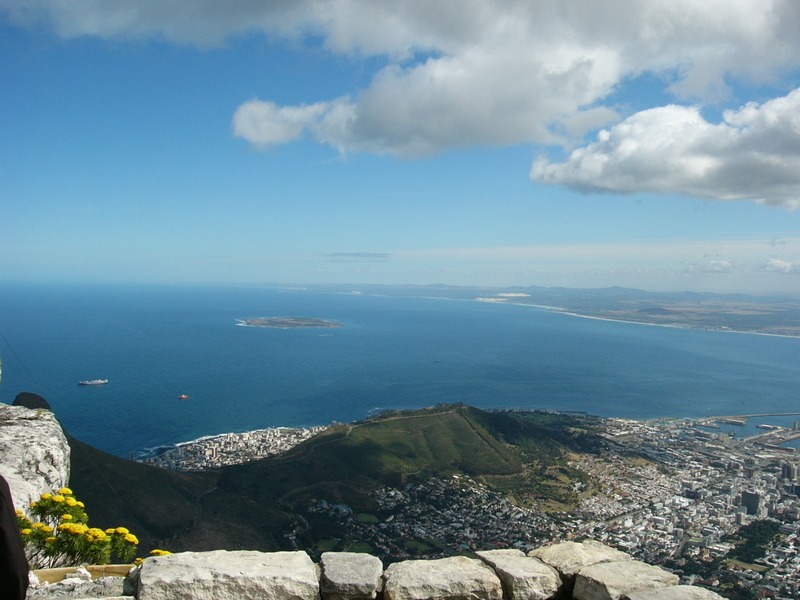 Before I left the UK to go to South Africa, anyone and everyone told me I just HAD to go to Cape Town and the surrounding area. As you will have gathered so far, I didn’t quite make it during the bulk of my time in SA. The main reason was that I didn’t want to do that much travelling by myself. Unfortunately few people took the opportunity to come and visit me while I was there, so I didn’t have a travel companion. Fortunately I met Kevin and Suzie while I was in Kenya, who hale from that part of the country. They invited me to see them and I decided to take up the offer. 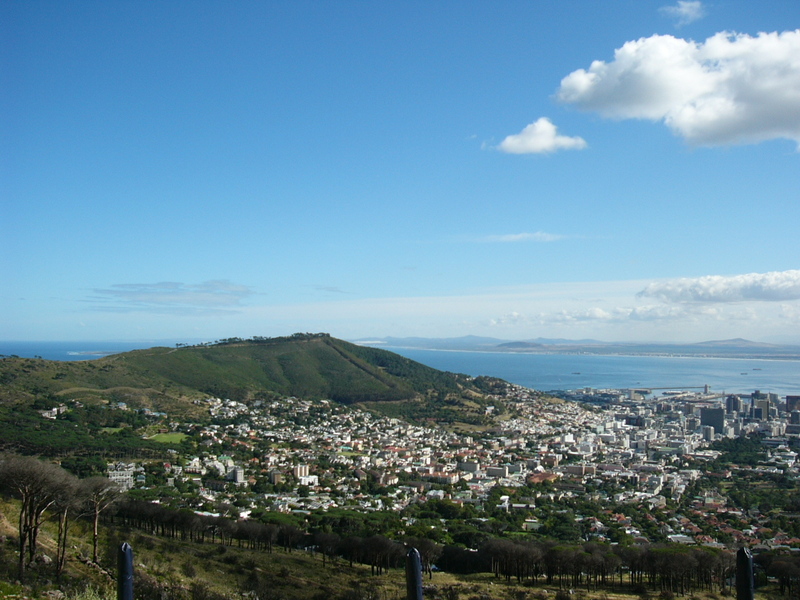 I flew down to Cape Town (around 2 hour flight from Jo’burg, which gives some of the perspective of the size of South Africa) on Thursday evening, ready to go on a tourist tour of the city the next day. Kevin was going into work the next day and was happy to give me a lift to the centre of town early to miss the commuter traffic. I met the tour group outside the Protea Victoria hotel. The others in my group were a Canadian couple, a US couple and a Brazilian. There had been a diabetes conference in Cape Town from Monday to Thursday, and the Canadian lady and Brazilian gentleman had been attending the conference. It had been a bit tricky booking a tour as so many of the 12,000 delegates were using their first day ‘off’ to explore the city a bit. We started off with the obligatory trip up TableMountain (which by the way is directly in view as you leave Kevin and Suzie’s driveway). 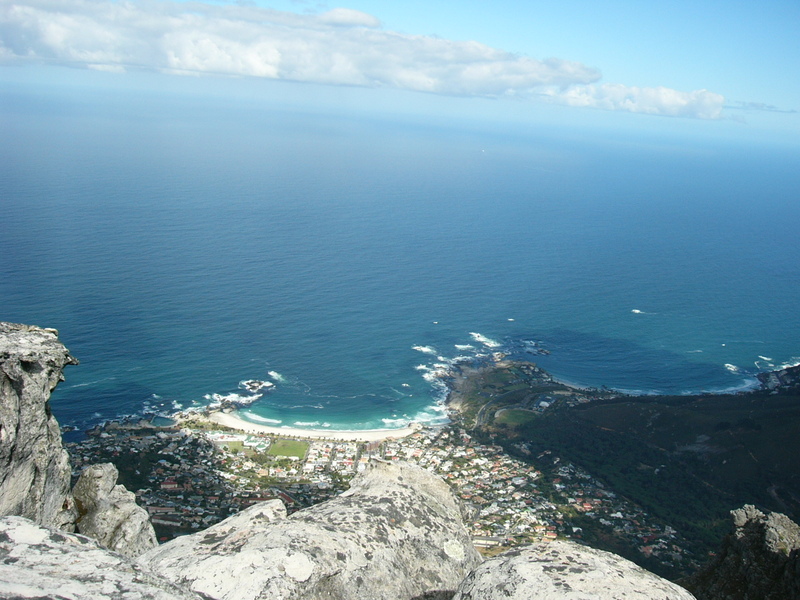 The views from the top are stunning, over the bay and harbour areas. We were pretty close to cloud base and later in the morning we noticed from a distance that the cloud had descended to make the ‘Tablecloth’ a common cloud formation around the top of the mountain. I presume this is known, which is why the tours start off at the top. The cable car up to the top is very new and apparently one of three of its type, made by a Swiss cable car company. The floor in the car turns, so once you get into the car at the bottom, you don’t need to move to see all the views around as the car is winched up the side of the mountain. 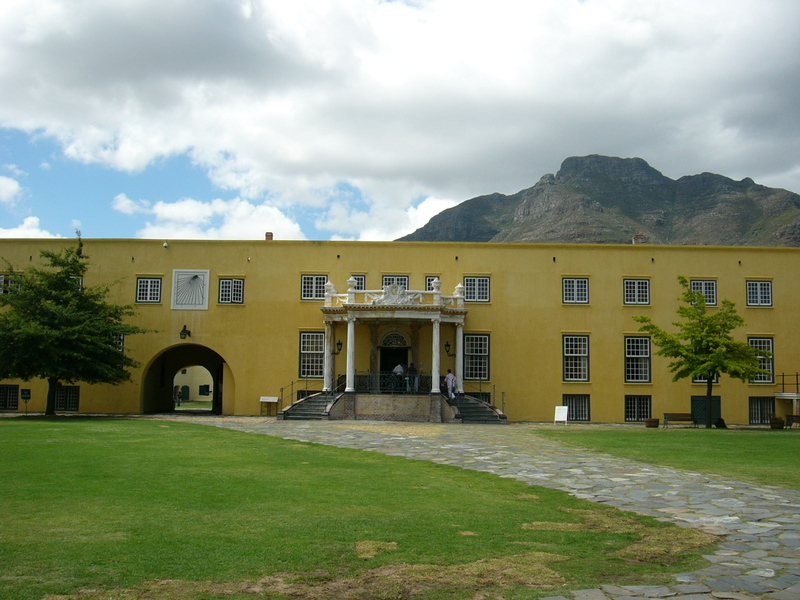 After Table Mountain, we went to the Castle of Good Hope. This had been the fortress built by the early settlers overlooking the then harbour. 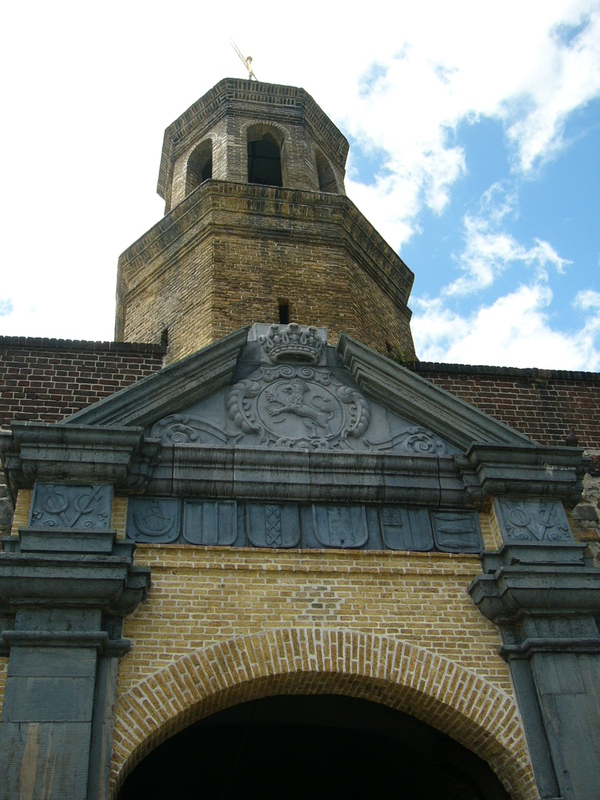 It is pentagonal and a later governor then built a residential block across the middle. We were shown a ‘torture chamber’ which my fellow tour members were rather shocked by, however in comparison to torture chambers in medieval European castles, they really weren’t that bad. 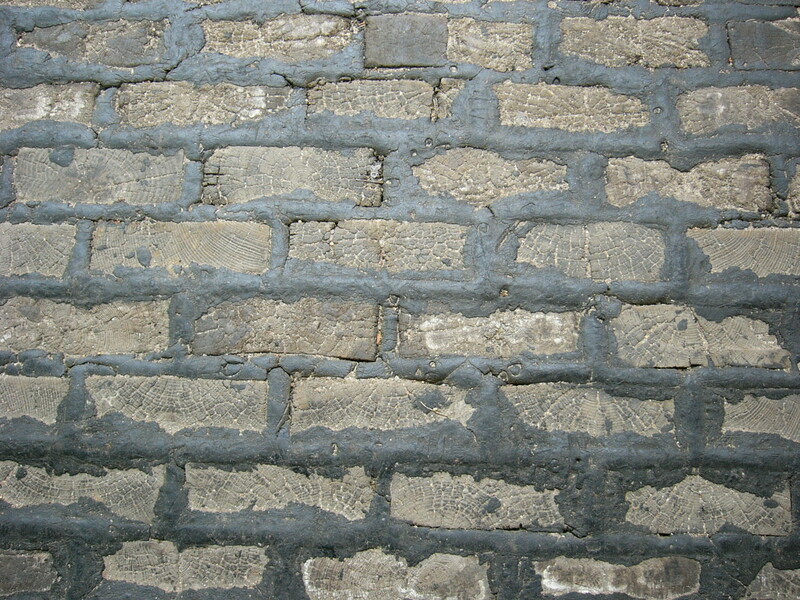 A couple of nails on a wall that people would get tied to and whipped and a pulley system by which prisoners were strung up on by their feet. Obviously none of the people from the New World had been to any European castles and I’m sure if they do ever go, they will be really shocked to see what other torture practices there had been in Europe in those days. One of the construction elements amused me; the cobbles under the archways are all made of wood rather than stone so as to absorb sound. 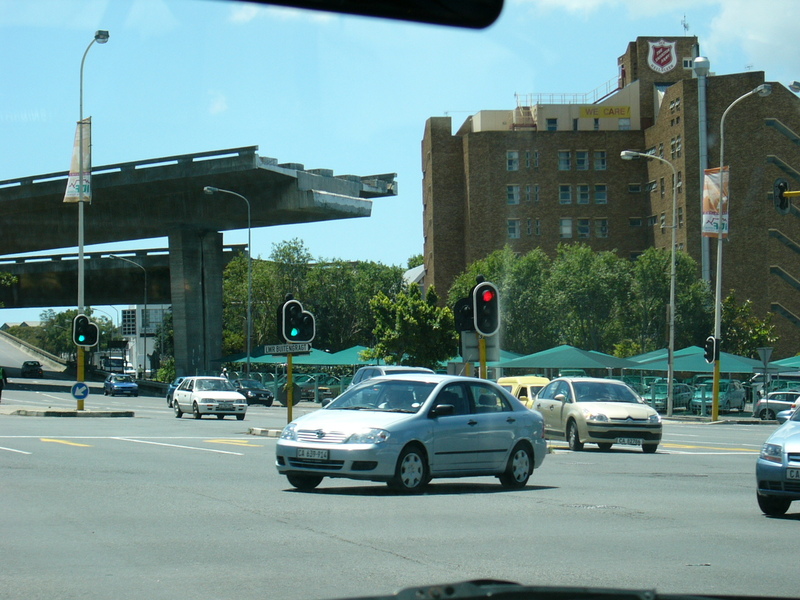 We then drove to District 6. This is now pretty much a wasteland, which in itself is quite powerful considering its history. 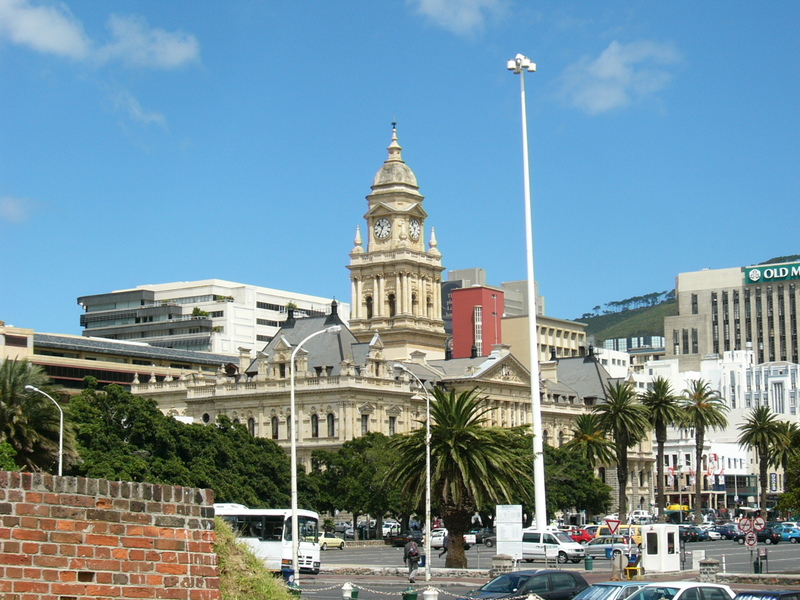 It is a district of Cape Town which is reasonably central. It had been a multi-cultural, multi-racial area with a mix of Christians, Muslims and Jews of all colours; White, Coloured, Indian/Malay and Black. During the 1960’s the Apartheid government decided that everyone living there needed to be re-housed in segregated areas, the Coloured all together in a Coloured area, the Jews all together in Jewish area etc. The idea was to re-develop it into a White-only area. Most of the houses were government owned, although some where owned by their occupants. Everyone was forcibly removed and all the buildings, apart from places of worship were razed to the ground. Even many of the roads were covered in soil for plants to grow over them to destroy the whole area of its old layout. Some houses around the edge remained, as they were already occupied by Whites, one set of buildings being veterans’ homes for British soldiers. The outcry over this forced re-settlement was enormous. The reason I found the fact that it isn’t re-developed so moving was that actually nobody wanted to move into District 6. It had been a thriving mixed community which was showing the Apartheid government that their doctrine of segregation was unnecessary. The fact that it was mixed didn’t lead to the kind of problems the segregation policy was allegedly seeking to avoid. The problems didn’t exist, so there was no need to segregate in the first place! This seemed to have been well recognised by people in the country and nobody wanted to build anything on the land, partly out of defiance as well as to leave a memory of what the government had unnecessarily destroyed. Part of the land has now been built on by the public sector; a higher education institution, the Technikon, now spreads over around 50% of the old District 6. There is also now a trust which owns the remaining land and is seeking to return the land to its original owners. We visited the District 6 museum which chronicles what happened and is continuing to happen around the land of District 6. The museum is in an old Methodist church. 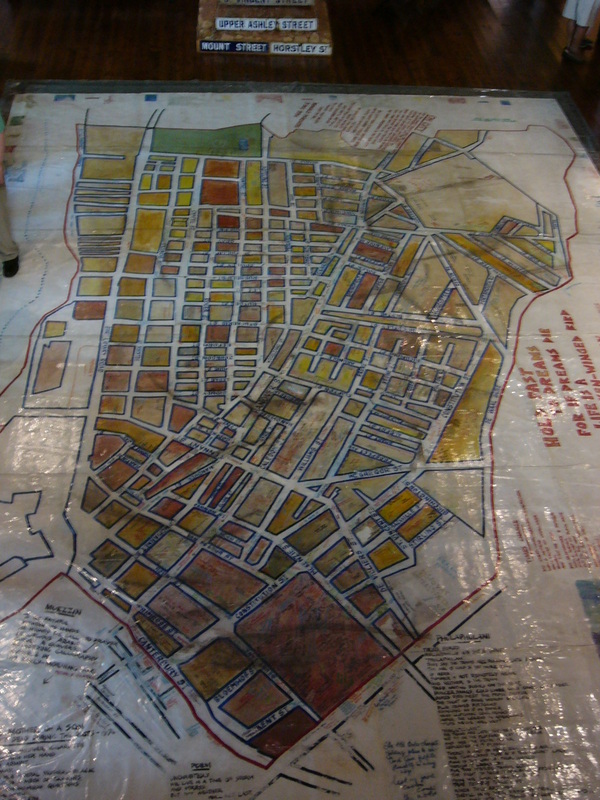 All the pews have been removed and spread out on the floor is a map of District 6 as it was on canvas. Lots of previous occupiers have come and written their names against the place where they lived. We then drove through the city past various government buildings both regional and national and stopped at Green Market Square. This used to be a very nice flea-market apparently, however has turned into a tourist attraction selling mainly African curio items, wire cars, carved masks and lots of bead work. From there we went to explore another South African export – a diamond dealer. A lady explained how diamonds are mined and then cut and polished and we were given the opportunity to buy jewellery if we were interested – I wasn’t really though, diamonds may be a girl’s best friend but only to a certain extent if she’s buying them herself. Finally we drove through the Malay Quarter, which is full of beautifully pastel painted houses built in a typical Dutch style. The houses had been built by artisans who’d been ‘imported’ t he second time, the Dutch mostly moved out of the area and the builders were given first refusal to live in the houses they had built. One gentleman was a GP and decided that he wanted his house to stand out from the others to make it easier to find. That house still has a doctor’s surgery in it and is now orange. After he had painted it a nice colour, others followed suit and most of the houses are now painted in a single colour, different from the one next door over their classic whitewash.